by Leiah Jaffe.In Awesome Places.1 Comment on It’s Magic! Caves are magical. Caves provide us with an “ultrasound” of sorts into the earth’s interior. Caves also provide shelter to many unique plant and animal species and were the first homes for humans. (For another post on dwellings in this area.) People explore caves for the mineral riches contained underground, for scientific studies of this netherworld and for the sheer thrill of it. Sometimes, caves provide clues not only to the earth’s interior, but to our own human past. Such is the continuing research at Qesem (Magic) Cave in Israel. Qesem Cave was discovered during a civil project to widen the road between Rosh HaAyin and Ariel. This road has been a thoroughfare throughout history and, apparently, also during prehistoric times. Humanoids have been in the current Land of Israel for 1.5 million years, having migrated north up the Syrian African rift. The recent excavations at Qesem Cave explore the period of occupation is between 400,000 and 200,000 years ago, which corresponds to the Lower Paleolithic period, a period with mixed humanoid populations. What was interesting to me as I was learning about Qesem Cave were the same things that interest me particularly about archaeology – namely the interplay between history, the environment and technology – are evident in paleontology as well. More than 400,000 years ago, Homo Erectus was the dominant species of hominid species and his main food was ELEPHANTS! Once you think about it and get past the picture of Dumbo flying in the sky, however, elephants are an ideal food. Killing one elephant provides enough meat to feed a lot of people. It is a very efficient dinner. But times change. And around 400,000 years ago, elephant populations lessened/disappeared in current Israel. And so, between 400,000 years ago and 200,000 years ago, the period of the current findings of the Qesem cave, hominid species had to adapt. We do not know exactly what caused the disappearance of the elephant, but removing this staple from the diet of early humanoids had a profound affect on their technologies. Switching the main food source from elephant to fallow deer and other smaller mammals meant that there needed to be a change in the Qesem kitchen. Fallow deer became so important that their bones were found through all 9 m of layers from this time period excavated in the Qesem cave. We have in the Qesem cave the oldest evidence of daily household use of fire IN THE WORLD. Talk about an Israeli Start Up – home cooked food! Food was cooked on a daily basis and not only sporadically. Because the area of the kitchen had a new importance, certain areas of the cave were set aside for this purpose. Not only cooking, but other activities in the cave dwelling were carried out in specific locations within the cave leading to developing of areas for “cottage industries”. The level of innovation was high in this cave. 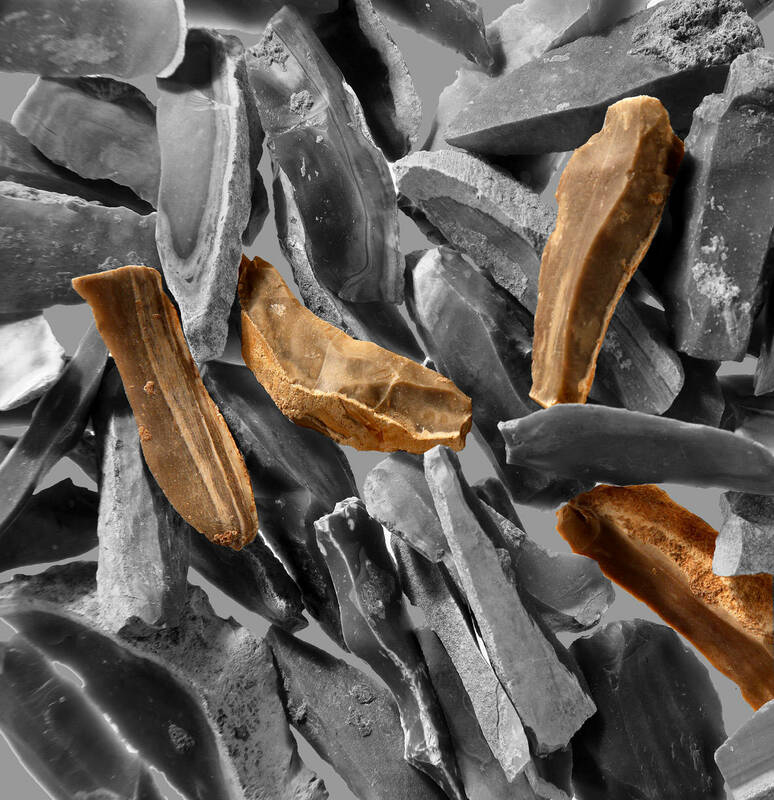 Besides cooking food on a daily basis and having an area set aside for this, and other, functions, over half a million flint tools were found, some “before their time” being the earliest instance of that tool type found IN THE WORLD. We are not talking about random flint knives, but rather about complete knife sets, each knife for a specific purpose. Uniform flint knives were found that were used only once for slaughter, then they were recycled for cutting meat. This recycling is the only instance of this behavior IN THE WORLD at this time. The research at Kesem cave has been carried out for the last 12 years by Tel Aviv University Department of Archaeology under the direction of Ran Barkai and still continues. Next summer the archaeologists hope to start work on a new cave dating from still earlier. Wonder what new “firsts” will be discovered this summer?